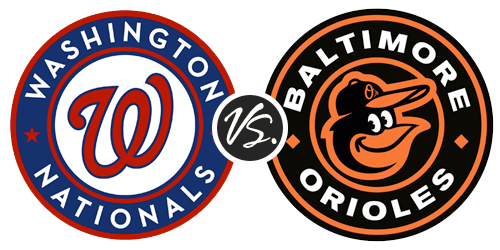 The Washington Nationals (10-12) have taken the matchup in the third week of the 2018 Beltway Series between the Baltimore Orioles (6-16) to go 3-0. The Orioles are arguably the worst team in baseball right now. Look, I know many sites put out standing predictions and had the Orioles coming in last place. But did anybody truly think they would be this bad? Just when we all thought they couldn’t be any worse than last week the Orioles manage to screw that up as well. But Nationals fans can sit tight after another sub-par week. And while the Nationals aren’t anything special at the moment at least they have double-digit wins (10). So that’s nice. Anyways, here’s the recap from this past week. 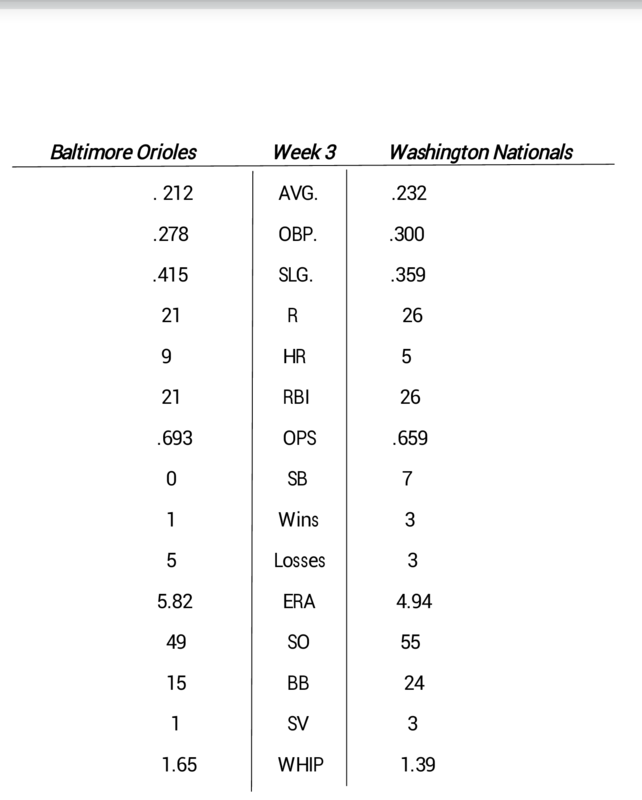 The Nationals numbers were a little better in week three than in week two, but nothing much to really fuss about. While their slash lines weren’t much of a difference (Week 2- .220/.319/.354 vs Week 3- .232/.300/.359), they did manage to score more runs last week (26) than they did in week two (22) with one less game played. The Nationals bullpen got smacked around by the New York Mets and Los Angeles Dodgers that left the team with a 4.94 era – a drastic hike from week two’s 2.59 era. Still, they managed to come out last week even with a 3-3 record. Unfortunate news hit for the Nationals when they had to place Anthony Rendon on the disabled list due to an injured toe caused from a ball fouled off his foot. And it seems like they’re keeping him out for another week. But a good thing to take away from the Nationals this past week is that they managed to go 3-1 in close games that were decided by three runs or less with three saves. There was also this treat as well. Not a single Nationals starter gave up more than three runs last week despite facing a red-hot Mets team and the former NLCS Champion Dodgders. Scherzer improved to a league-tying 4th win while still maintaining a sub-1.40 era. And despite Strasburg failing to have any run support last week, he now possesses a 2.97 ERA while ranking 12th in the league in strikeouts with 36. Gio Gonzalez improved to 2-1 on the season with a win last week and still rocks a solid 2.49 era. Even Tanner Roark had a good outing this week improving his ERA to a 3.24. It was just unfortunate for Roark that relief pitcher Ryan Madson came in and completely botched his win opportunity. The veteran third baseman had a solid week three. With an impressive .292/.346/.708 stat line, Zimmerman also led the team for the week in home-runs (2), runs batted in (6) and triples (1). This is a week Zimmerman definitely needed. Although, he is still hitting .178 on the season. And the home-runs he hit last week were just two of the three total he has hit on the season. Zimmerman managed to get more runs batted in last week than the first two weeks combined. Hopefully, this week will get things going for Zimmerman and a hurt Nationals lineup whose hitting ranks 21st in the entire league. This team really puts the ‘L’ in the ‘Orioles’, doesn’t it? The Orioles finally managed to improve their starting rotation and now everything else is just flat out horrible. A team who had one of the best bullpens in baseball last year can’t hold onto a win for any of their starting pitchers. 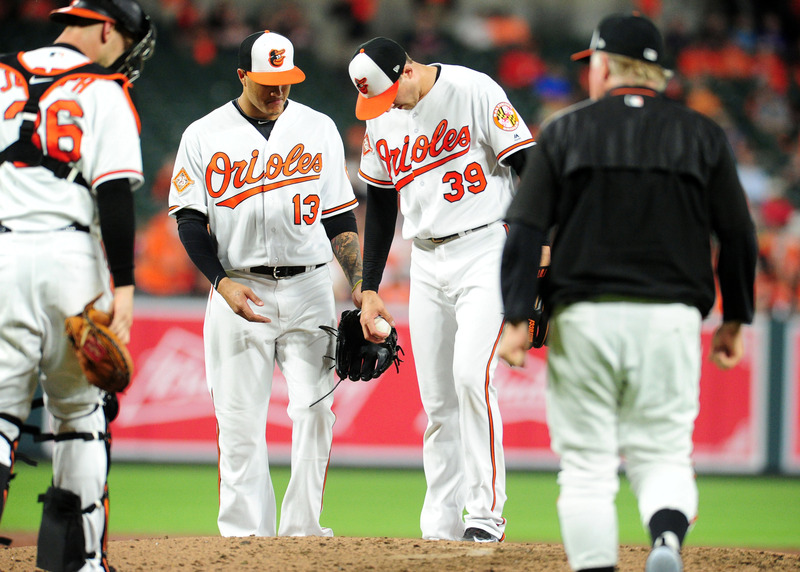 The Orioles bullpen gave up eight runs total between the 7th and 9th innings this past week. To put that into perspective, that’s more runs given up than the Orioles scored in three games against the Cleveland Indians, which was six. This team is flat out awful. The Orioles are currently 28th in the league in hitting. 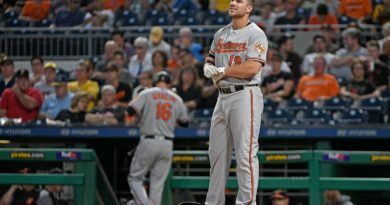 Yes, an Orioles lineup that possesses who was once the home-run king (Chris Davis), a league superstar (Manny Machado), one of the most consistent hitters every year in baseball (Adam Jones), a standout rookie from last season (Trey Mancini) and their only all-star from the 2017 season (Jonathan Schoop) are just about the worst hitting team in baseball. This stuff can’t be made up. Currently, eight Orioles hitters are hitting below the Mendoza line. And the only Oriole hitting above .300 is Manny Machado, who aims to land a lucrative contract deal at the end of the season. So he definitely has some motivation to not be a bum at the plate. 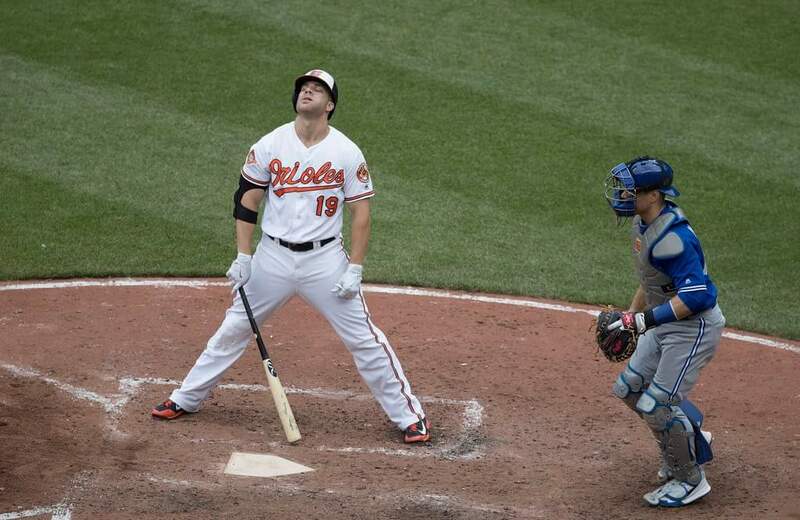 Luckily, he’s one of the bright spots for the Orioles. After earning the AL’s co-player of the week, this is an easy choice. Machado hit .500 for the Orioles last week leading the team in every standard hitting category except doubles. Machado is now hitting .356/.434/.713 on the season with eight home-runs and 17 runs batted in. He’s tied for second-best batting average in the entire league and second-most home runs as well. 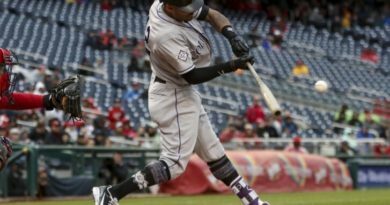 Obviously, Machado is solidfying his reputation as one of the best overall players in baseball. Oh, and he still continues to make plays with his glove, like that should come as a surprise to any baseball fan. Is it too soon to call him the ace of the Orioles? Has this team, after all these years, finally found an ace? Perhaps. And while he could just be starting off hot like he did last season for the Orioles, there’s no denying Bundy, three weeks in, is still one of the best starting pitchers in the American League right now. After giving up just one run on five hits through six innings pitched, while striking out nine batters and walking two, Bundy’s stats continue to be impressive. With an astounding 1.49 era, Bundy now ranks 5th among AL starters (20 IP min.). And don’t look now, but Bundy’s 40 strikeouts put him at second in the American league behind Chris Sale (41) and Gerrit Cole (41). Orioles fans need to hold their breaths for right now because last season in the month of June is where Bundy began to struggle mightily. The Nationals don’t seem to be a team many would have thought to be contenders. Luckily for them it’s still early to truly tell whether or not they are a team others shouldn’t take lightly, especially with that starting rotation. As for the Orioles, well, summer is rolling around so at least the crabcakes will be good.